Note: We right to refuse training to any individual that we deem as an inappropriate candidate for our services. Fields marked with an * are required. 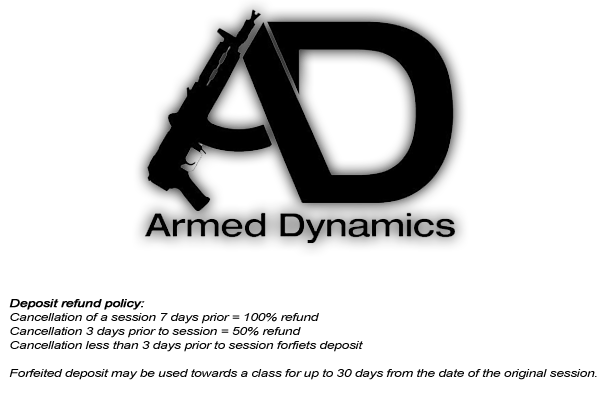 Address all questions to jeff@armeddynamics.com. Please select one: 1:1 Individual Training Deposit - $125 (required) 1:1 Individual Training Full Payment - $250 (optional) Please note that a deposit is required to lock in your training slot.